I saw some cute images being used for the 30 day colouring challenge in January. They were by My Favorite Things. I decided I had to get some as well and after some searching I tried Dies to Die for. After contacting customer support I got the images I was after delivered a little after a week, which is great. I don’t really tend to recommend shops, but the lady was very nice and helpful, so thank you! 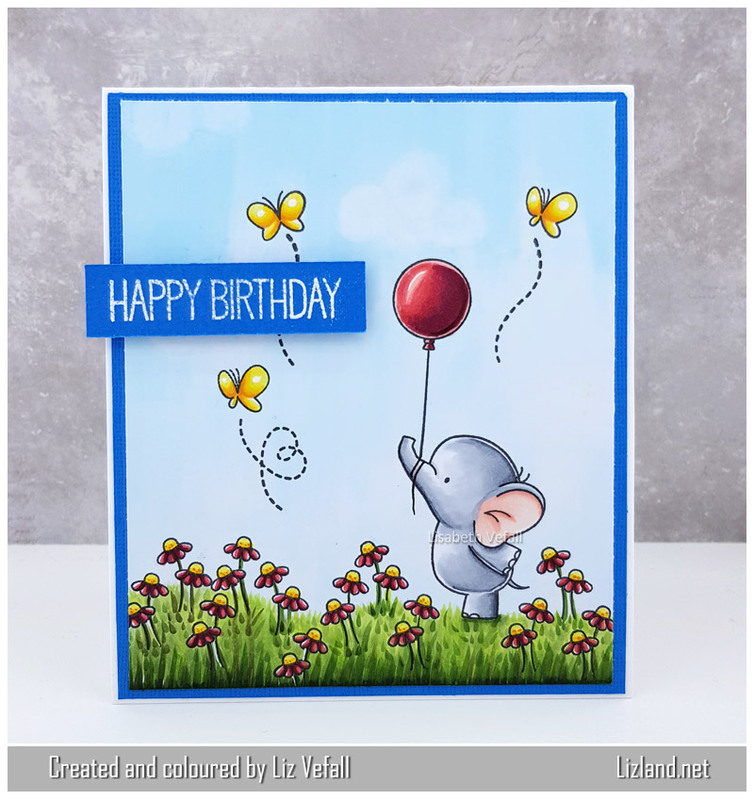 Here is a card I made using several of the stamps from the Adorable Elephants stamp set. Apparently I stamped 21 times in total for this card! My first time making a stamped up scene, so I decided to keep the card very simple. The sentiment is also from MFT which I embossed in white.